Just like the McCall’s jacket from last fall, I also started another project around the same time that I never completed and ended up stuffing in a bag in my closet. I’m loving this jacket/coat kick that I’m on. (Next up is a trench coat for the spring. See, I’m planning ahead!) The pattern I’m working with is Simplicity 2812. 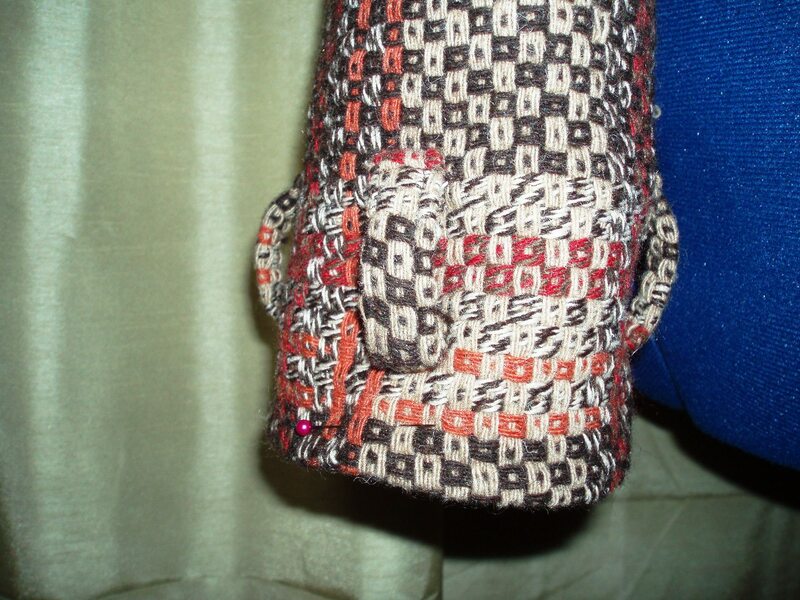 I made the jacket in a quilted fabric two years ago. It’s a good pattern that is well-drafted and easy to put together. This time I’m using it to make a winter mini coat with a shawl collar. So far I have the outer shell done. I just need to finish the lining (which is partially done) and other details. I want to say the fabric is a boucle, but now I’m not sure. It’s definitely a loosely woven jacket/suit fabric. Not the easiest to work with because it unravels a bit at the edges. However, I’m loving the color and the direction this coat is going. Here’s where I am so far in the process. I’ll keep ya’ll up to date! 9/21/2010 ETA: I just finished the lining last night. Looks like I might be done by this weekend. I'm enjoying reading your point of view here in your posts…..I'm a new reader but will be back to check out more! I LOVE this coat. 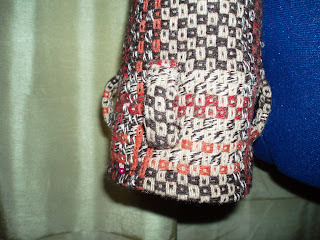 I am still afraid of taking on thick fabrics..
@ Gail, it doesn't get super cold here in the NC piedmont region either. Just one week in February when it gets into the 20s or so, and that's about it, lol. The coat will match better once I get the buttons on. OOo… great job! I like this jacket kick you're on, too! It's great inspiration! It's also inspiring that you're working on ufo… I need to go back to my pile, too! I don't live in a cold part of the world, but if I did I'd love a coat just like this. Your pattern matching is very good indeed. This is just the time to do this, as the weather is changing rapidly, at least here anyway. I like the fabric too and it looks very well put together. Have a great fall season. Hey, Victoria. Yes, that's my plan. Just go ahead and get them done ahead of time so when I need them, they're ready! So many times I tried to make garments in the middle of the season and would pressure myself to get it done with no results. So now I'm starting early and taking my time to create garments I will truly enjoy. Thanks. I had to recut a couple of pieces to make sure they lined up. No point in using plaid if it doesn't line up. Looking good. You've done an excellent job with lining up the plaid.